Product prices and availability are accurate as of 2019-04-14 13:50:24 EDT and are subject to change. Any price and availability information displayed on http://www.amazon.com/ at the time of purchase will apply to the purchase of this product. 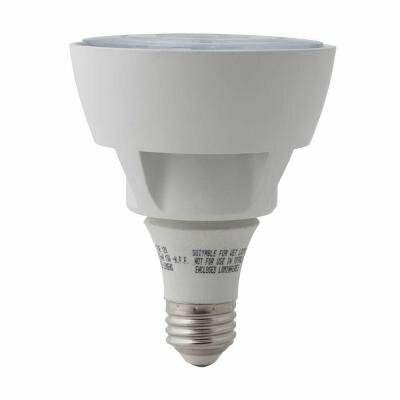 Ecosmart LED E26 PAR30 13-75watt 3000k Light Bulb. Flood light. Standard E26 screw-in base. PAR30 shape. 13 Watts (75 equivalent). 3000k color. Compatible with most dimmer switches.